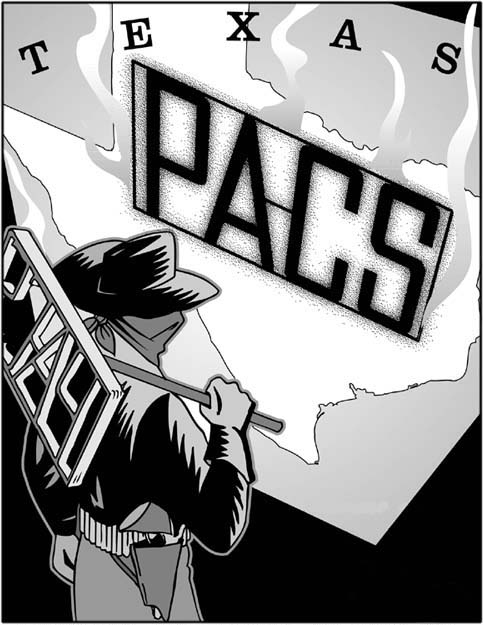 Political Action Committees (PACs) play a huge role in shaping politics in Texas. Texas imposes no limits on how much money an individual or unincorporated business can contribute to a PAC or how much a PAC can contribute to a state political candidate. A study analyzing the $14.6 million that Texas House members raised in the 1996 election cycle found that 62 percent of this money came from PACs and businesses rather than individual Texans.